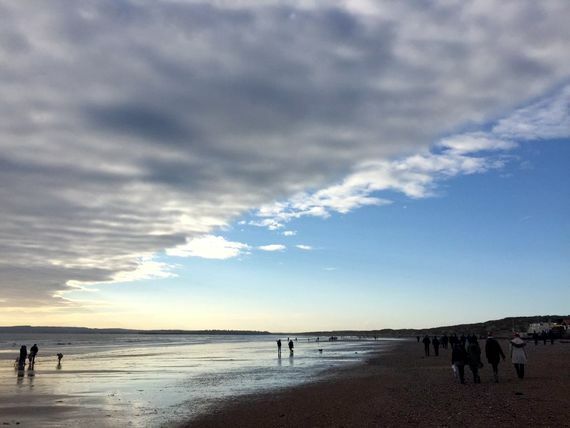 This lovely beach-side bolthole has a fabulous setting just a few minutes’ walk from Camber Sands on the East Sussex Coast, which was recently given a top 3 spot in Time Out's guide to the UK beaches . 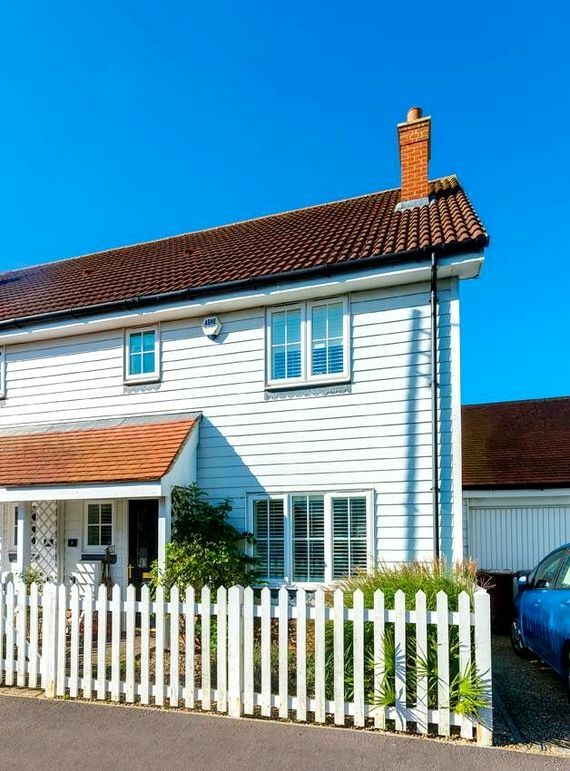 The pretty weather-boarded exterior houses a seaside-chic interior with 3-bedrooms, contemporary fixtures and fittings, a handy list of baby gear and a lovely south-facing garden... idyllic! Marram Cottage takes its name from the whispering grasses which cover the dunes – a natural adventure playground where toddlers to teens can scramble and explore. The white, weather-boarded exterior, complete with white picket fence brings to mind the beach houses of Cape Cod and the style throughout is simple, chilled out, coastal living. Driftwood floors and coastal décor, comfy lounging furniture and ambient lighting all set the mood to kick back and unwind. Sun streams through full length south-facing windows to make the open plan living/dining/kitchen bright and airy, along with double French doors which lead onto the deck, where parents can keep an eye on children in the enclosed lawn garden from the comfort of luxury rattan furniture. For eating al fresco, there’s a table and chairs for six, a Weber charcoal bbq and even a brazier to keep the evening chill at bay, although it is not much used in Summer since the south-facing garden is such a sun trap! For playing out, Marram Cottage comes with a Little Tykes see-saw, a trike and ride-on; plus a paddling pool, play tent and tunnel, bucket and spade. Indoors, the home entertainment comprises BOSE Soundock in the lounge and master bedroom (bring an IPod/phone), DAB Digital radio, a 32” LCD TV with Freeview, and BT vision, plus a DVD player, a selection of DVD’s and broadband access. The shaker style kitchen has all the essentials for family living, including a Senseo coffee maker, microwave, dishwasher, washing machine and dryer, plus a good range of bakeware and a smoothie maker to have some quality time with the kids, making holiday treats. The house benefits from a second lounge which makes a cosy retreat for parents once little ones are tucked up in bed or a quiet refuge from kids TV before bedtime. It's the ideal spot to sample some of the wine provided in the lovely welcome pack, which also includes some local Kent apple juice for mini guests and some delicious homemade cakes and biscuits. 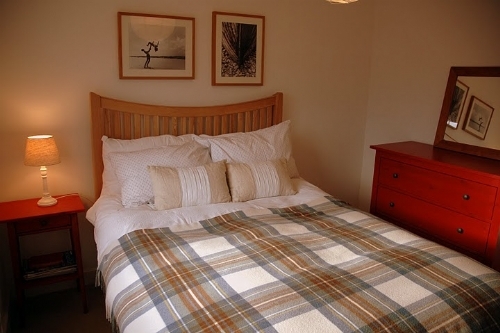 Marram Cottage has three bedrooms and sleeps up to 6 people, plus 2 babies in cots. The master bedroom has a super king size bed, with super soft mattress topper, and en-suite shower room with basin and WC. The second bedroom has a double bed and the third has a set of bunks. 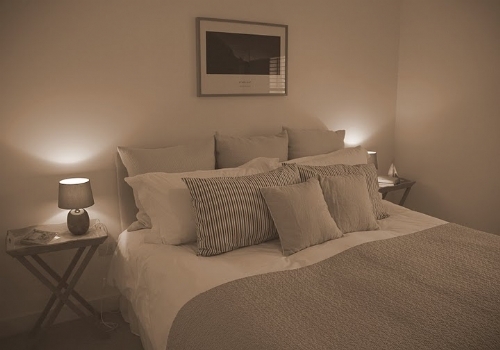 There is space for a cot in all three bedrooms and two travel cots are available. The family bathroom has a bath with an overhead shower, a basin and WC. There is parking for one car off road on the drive in front of the garage, and free unrestricted parking in the street outside the house. 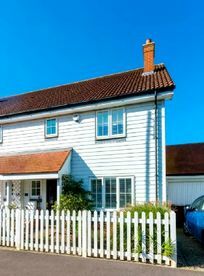 Marram Cottage is part of a village-style development just a few minutes’ walk from the seven miles of Blue Flag beach and dunes of Camber Sands, recently given a top 3 spot in a Time Out guide to the UK's best beaches. The beach itself might be familiar to some since it often pops up in films, TV shows and ads. The village has a seaside atmosphere, with cafes, fish and chip shops, small general stores, a post office, shops selling beach gear, amusements, plus a couple of pubs. Don;t miss a chance to sample a drive-free breakfast, lunch or dinner in the nearby Gallivant. 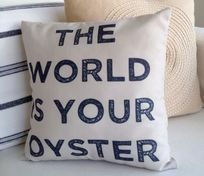 The chef, Ben Fisher trained under Thomas Keller at the well-respected French Laundry in California's Napa Valley. 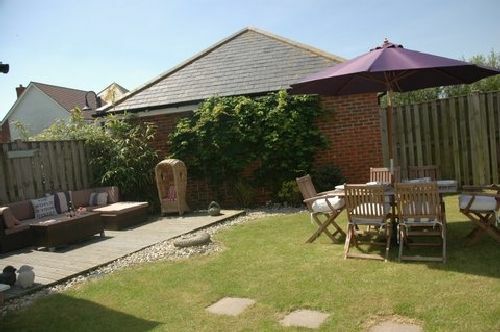 The historic walled town of Rye is just 3 miles away, perched on a hill overlooking the River Rother and Romney Marsh. The town is great fun to explore, from Strand Quay up cobbled Mermaid Street., passing timber framed houses with quirky names such as The House With Two Front Doors’ and The House Opposite. Hear colourful tales of Rye’s history in the Castle Museum and take in the views from 13th century Ypres Tower. 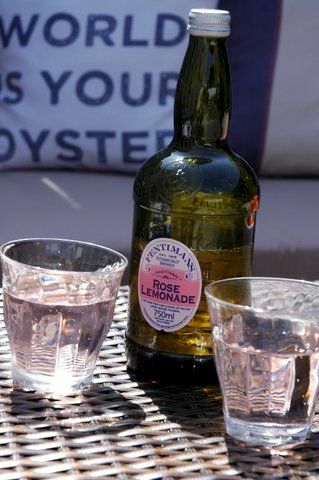 Browse interesting little shops, tuck into indulgent cakes in olde worlde tea shops and sample fresh caught fish dishes in the many bistros and pubs. A fun way to explore the region is on the narrow gauge Romney, Hythe and Dymchurch steam railway and try a facinating time travel adventure at Yesterdays World in Battle, which has a highly rated tea room. Other highlights include the 1066 town of Hastings, Canterbury and magnificent Leeds Castle. For stocking up on groceries, the nearest supermarket is Jempsons in Rye (4 miles) or Sainsburys in New Romney (7 miles). In the garden of England, however, local shops and markets are full of superb local produce, including the farmers market in Rye every Wednesday morning and Winchelsea Farm Foods, which is a must-stop for local Romney Salt Marsh lamb, deli luxuries, fresh farm fruit and veg, plus the Cook range of home-made convenience food - perfect for easy holiday suppers . For a sample of the local tipple on a summer’s evening, pick up fine English wines at Carr Taylor Vineyard in Westfield or Sedlescombe Organic Vineyard in Rother. For burning off all that good food and drink, the beach is not just great for walking but is also home to the local Kitesurf Centre, offering lessons in kitesurfing, land boarding, kite buggy and paddle board. 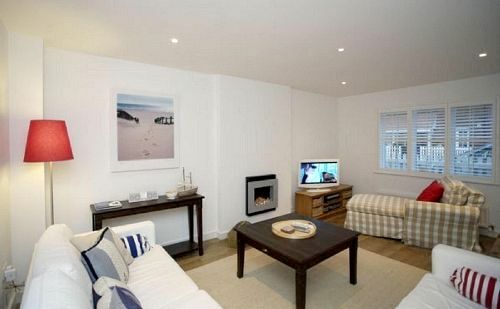 Plus Rye links golf course, which overlooks the beach, is just a two minute drive from the cottage. Nearest Medical Services: A&E - Conquest Hospital, St Leonards-on-Sea Tel: 01424 755255 (40mins) - GP Drs Jeelani & Majeed, Rye Tel: 01797 223230 (10mins). We are based in London and parents to three children, aged 12, 10 & 9. We love East Sussex and Kent, and Camber Sands appealed as one of the very few sand (rather than shingle) beaches within a short driving distance of London. We usually make the journey to Whitesands in just over an hour, which makes it a viable location for weekends and not just holidays. We also wanted a destination that would appeal to our children at all ages, when they will be old enough to join the windsurfers & kayakers at the nearby watersports club, and even the kite-surfers at the next beach along. Ultimately, we like to get away from London as often as possible, and escape to our beach home whenever we can to relax and enjoy a total change of environment. Our beach home is a sanctuary for us. We can be on the sands in under 10 minutes on foot, off with our brood and beach bags for a thoroughly wonderful day. A route through the quiet development means we don't even have to walk alongside the main road to access the beach. 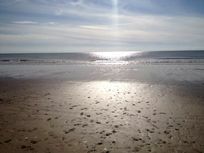 The beach is also excellent for a solitary early morning run along the shoreline, or a late-afternoon/early evening visit when we sit in the dunes & break out a tea-time picnic, while the kids scamper around the beach! Two minutes walk from our door is our lovely local beach café, evidence of the ever-increasing local selection of child-friendly, good quality places to eat and drink, and this is a big part of a relaxing break for us. Long,sunny beach days are a given, and we can be on the sands from morning 'til evening in the summer months. When the day is over our children are dunked in their bath & settled down for a favourite movie, whilst we retire to our south-facing garden or garden room with the newspapers, a cuppa or a glass of wine. Everything that we need is at the house, packing kept to a minimum, making the whole experience less stressful - an added benefit! When we can tear ourselves away, the kids love scrambling over Bodiam Castle, or riding the Romney Hythe & Dymchurch Railway, with its little carriages holding huge appeal. We go to the end of the line for fish & chips and a mess about on the beach in Hythe, or jump off at Dungeness for a trip to the top of the lighthouse followed by a much-deserved ice-cream. A trip to Hastings is almost always on their agenda too....they love to ride the East lift up to the Country Park overlooking the town, and ride the little train from the fishing sheds to the small funfair on the front. Alexandra Park, just behind the main town centre, is a beautiful park, with all the traditional features like playground, café, lake, tennis courts, two large main lawns for picnicking or footie, plus a wilder top end with fishing reservoirs & walks through the woods. The winning combination of such a fabulous, safe beach and a wealth of local attractions has made this a much-loved destination for our children. The house is just a few minutes walk from Camber Sands Beach. Baby gear provided; 2 travel cots with proper matresses, a highchair, a baby bouncer, an electric steriliser, a potty, a stairgate, plug-in nightlights, socket covers, bathroom step-stool, plastic crockery, cutlery and cups plus a buggy with cover and cosy toes. Indoor play gear includes: kids books, board games, puzzles, general toys and U rated DVDs. 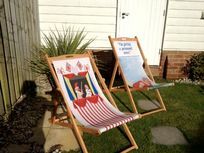 For outdoor play, this child-friendly beach cottage has buckets and spades, a see saw, a paddling pool, play tent and tunnel. There is a safe and secure fenced rear garden perfect for little ones to play. 2 travel cots are available. Quiet location, near to the beach. Spacious downstairs, and safe garden for toddlers. 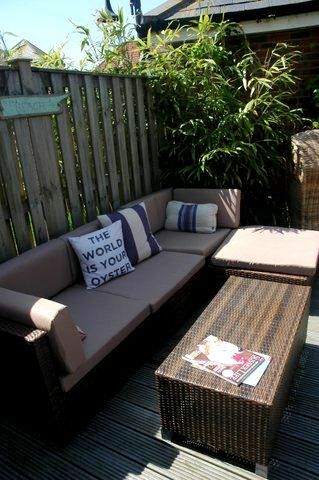 Excellent property, all you could need and very comfortable. The most FANTASTIC 2 weeks spent here with a 1 and 3 year old and grandparents. Everything was excellent from the house itself, to the location (10 mins walk to the best beach in the UK! ), the information provided on what to do (and there is loads! ), the local food including the unexpected welcome pack, the baby-friendly facilities in the house from beds and toys to garden playthings, prams and kids cutlery. We couldn't have asked for more and we will be back! A true home away from home which when you have small kids - makes it a holiday for you too. Has everything a baby/toddler would need. An excellent base to explore Camber Sands and surrounding area. The cottage itself is exceptional - perfectly equipped for baby and toddler but also has a luxury holiday feel (beautifully furnished with a seaside theme, lovely beds and bedding and excellent power showers!). It has a lovely bright kitchen/dining/conservatory/play area leading out onto decking and good sized garden - perfect for toddlers to play in. The cottage is within easy access of amenities, and there is lots to do in the surrounding area if you get bored of the beach or in bad weather. We were also very pleased to find that one of the travel cots was large enough to accommodate our very tall almost 3-year-old as he has not yet moved to a big boy bed. Really beautiful house and so well equipped for adult and children alike. 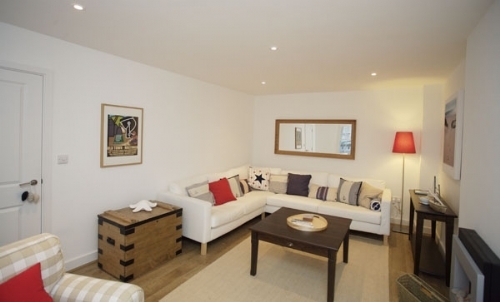 A perfect family retreat - spacious yet warm & cosy, perfect for tots and adults alike. A great place for a winter visit to Camber and just a stone's throw from the dunes and beach which proved to be great for beachcombing. Marram Cottage is absolutely lovely. The pictures don't quite do justice to how much space there is. The interiors are just right for a grown-up holiday feel whilst being child-proof. There are plenty of toys and DVDs for small people and all you need for a baby (proper mattress to go in the travel cot particularly useful). There's lots of toys for the garden and a great outdoor sofa set so you can have a coffee while children play. Best of all the house is only a ten minute walk from the gorgeous sandy Camber Sands - with great dunes to explore, wide, gently sloping beach and fishing boats in the distance coming out of the estuary. When not on the beach we particularly enjoyed walking to Rye, exploring and then getting the double-decker bus home; going on the Romney, Hythe and Dymchurch miniature railway; and visiting some local National Trust castles - all extremely child friendly. We even made it out for dinner to the fab bistro 5 minutes from the house for the Catch of the Day. Really great family holiday. Highly recommend. All the baby gear you need. Lots of toys indoor and out, high chair, cot, change mat etc. We had a fabulous stay in the sunshine. The facilities are really child friendly and we had loads of fun in the garden during our stay. Would highly recommend this cottage. What a lovely seaside house! The interiors were of high quality and everything we needed was there, plus more! The toys and books for the children were loved and it was great knowing that the garden was safe and enclosed. We will be back. Beautiful cottage! Home from home. 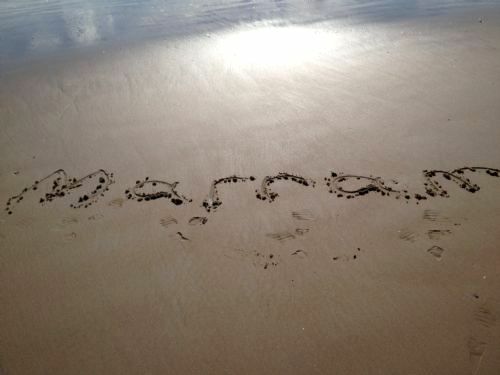 We had a great week in Marram Cottage. Great to be so near the beach and the owners gave us lots of tips for things to do and places to eat. We hope to come back again soon. Thank you! 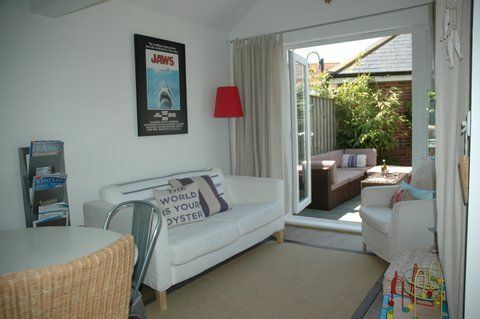 A superbly equipped holiday cottage near to a beautiful stretch of golden sands at Camber Sands and the lovely town of Rye. Extremely well set up for babies and young children with a family friendly lay-out and thoughtful touches for an enjoyable stay. Really lovely house - loving touches everywhere, very comfortable beds, well equipped for adults and kids, good space for four adults and two very active children, garden is perfect and kitchen overlooks garden so can keep an eye on the kids. Very close to the beach, which is beautiful. Can get very windy on the beach so need lots of sturdy wind breaks. Our two year old hated the wind but our five year old loved it! Loads of things to do in the area too - check out the rare breeds farm and the pig racing. Also if kids desperate for a playground, there is a great one in Rye which is a few mins drive away. 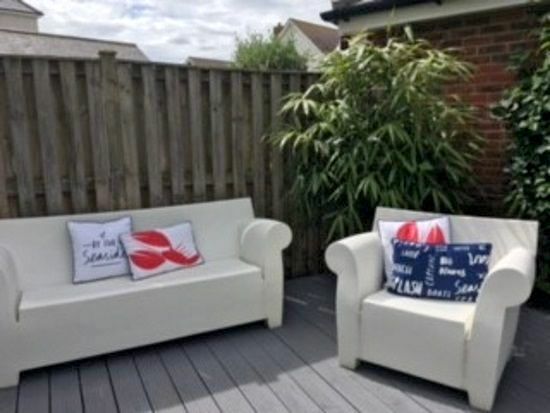 Beautiful house, so well equipped for toddlers and preschoolers eg toy box of goodies, plentiful books and DVDs for rainy days, beach toys in the garage and a toddler friendly kitchen! Very comfy beds, homely feel and very welcoming overall. The garden is great for keeping an eye on the little ones while cooking, barbecueing or just simply kicking back with a glass of wine ;-). The only slight downside for us was the location- great estate for toddler bikes, feels very safe. But the walk to the beach was along a narrow pavement on a busy road (Owner Comment: There is actually a short cut which avoids this road . It is detailed in info provided at the cottage) and the town itself has nothing to offer. Rye is lovely, and only a 10 min drive away with a good playground,coffee shops and a lovely toy shop amongst many others. Camber beach is wonderful- sandy, with dunes to explore. Can be a bit windy (windbreaker at the house!) and very busy in the sun. Brilliant Well equipped. Very child friendly. 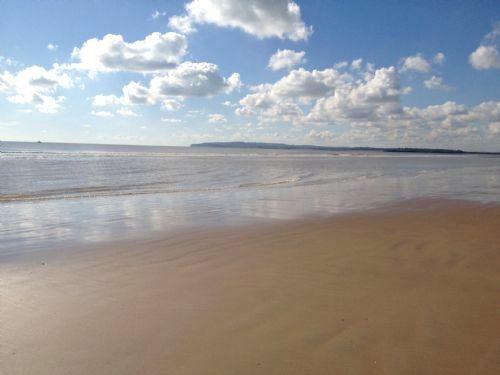 About a 10 min walk to camber sands. Lots to do in the area. 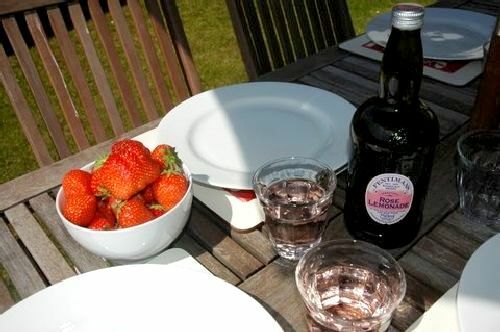 Loads of crockery and cutlery, which is great because often rental cottages don't have enough! Really nice house, like a home-from-home with all the baby/toddler gear there. Good location, very close to the beach and we had a wonderful holiday. Lots of baby-friendly places to visit nearby too. 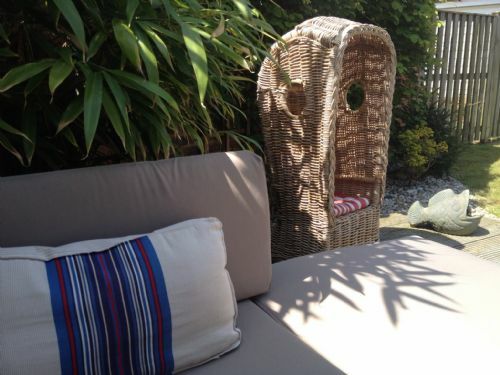 Beautiful house, very nicely decorated and extremely well equipped. Would definitely consider a return visit. A lovely holiday house. 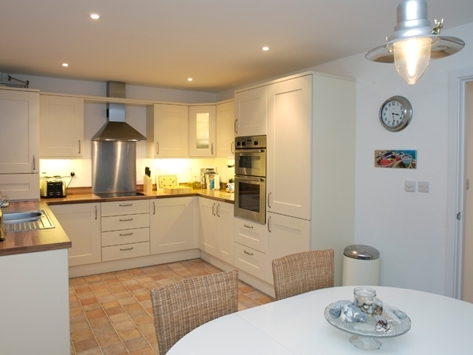 Warm, very smart, lots and lots of room, excellent kitchen, extremely well equipped, lovely bathrooms and bedrooms. All round excellent, and would definitely go again if the occasion arose. We had a really great stay at Marram cottage. The house had everything we needed for our 2.5 year old and 6 month baby so we could travel light(ish!) and it was lovely to be in such a safe environment. We made the most of being so close to the beach and visited every day (very lucky with the weather for September!) and there was plenty to keep us busy in the local area. 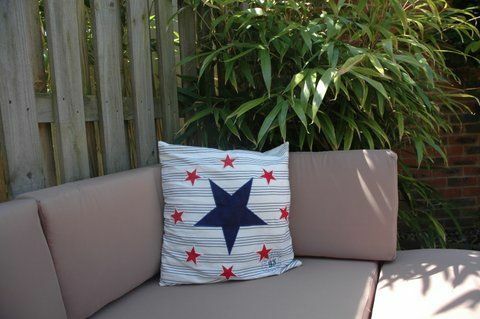 Our toddler loved the nautical themed bedroom and would take his afternoon nap on the chaise longue in the lounge... We will definitely be recommending the house to friends. We had a wonderful holiday at the cottage. It was gorgeous inside and beautifully decorated. 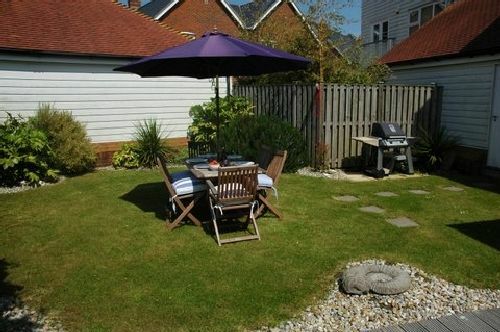 In a great location only a few minutes walk from the beach and play area and a short drive to the lovely Rye. Loved staying at Marram Cottage the house is beautiful and perfect if you have pre-school age children for safety, range of toys and equipment. No need to bring any of your own as everything is catered for. The beach is only 10-15 mins walk away and there are plently of local places to visit. We had an extremely enjoyable (and far too brief) stay at Marram cottage this September. The owners couldn't have been more accommodating and had gone to great lengths to ensure that the children were both happy and safe. A lovely weekend was enjoyed by both parents and children alike and we will be recommending to friends and family. Must stay longer next time, thank you!! !